Hi there anyone, I am trying to open a page that requires Java. I have downloaded Java but it wont work when I try to open the page. It is for a job application that can be done online. 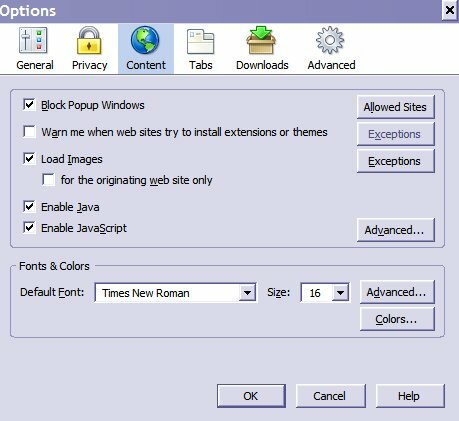 My browser is Firefox, could it be stopping Java from opening. I am not a very computer literate person so could someone be very basic if they are offering help. I need to know if I have Java downloaded properly, and how to look to see if I have, and then what else to 'press' to get it to work. I await someones help with anticipation. Ye have always been most helpfull before. Edited by Aileen Delahunty, 05 February 2006 - 10:59 AM. Thanks for your reply. Ran the 'thing' you said to, I have the latest version of Java downloaded! Still cannot open the form I want to. When I click on the form, on the bottom of the screen it says 'loading Java applet', Then after a few seconds it says 'Applet FormApplet notinited' nothing appears except a page with a large coffee cup. Any other hints. Edited by NICK ADSL UK, 06 February 2006 - 01:34 PM. Tried all that was suggested but to no avail. Did a little more research and found that I would have to go into the Control Panel, click Java, click + applets, and then tick browser (mozilla). Did that but WARNING - BROWSER came up. Says "Unable to change browser settings. Please check that Mozilla or netscape is properly installed on the system and/or that you have sufficient permissions to change system settings". Anyone know anything about all this and how I can DO something to MOZILLA to allow Java to install. Looking forward to getting this done. Edited by NICK ADSL UK, 09 February 2006 - 03:57 AM. Thanks for help, did what you suggested but will not load. I get Big page, Large Java with radiant sun around it and a long bar underneath it which you think will start to load the page but nothing happens. Any other suggestions. I am determined to get to the bottom of this. There is no reason as to why the Java™ 2 Runtime Environment, Standard Edition 1.4.2_10 will not load with firefox. Can you please uninstll the version you have and download from here a new version to rule out the possibilities of some corrupted files. Don't forget to remove what you have installed from the control panel first. Tried again what you suggested. No luck. I am trying to fill out a job application form for my daughter but to no avail. Will try someone else's computer and see if I have any luck. But would love to be able to access from home. Edited by Aileen Delahunty, 09 February 2006 - 08:35 AM. You are a genius. Thank you. It worked just as you said. Hope she gets the job.